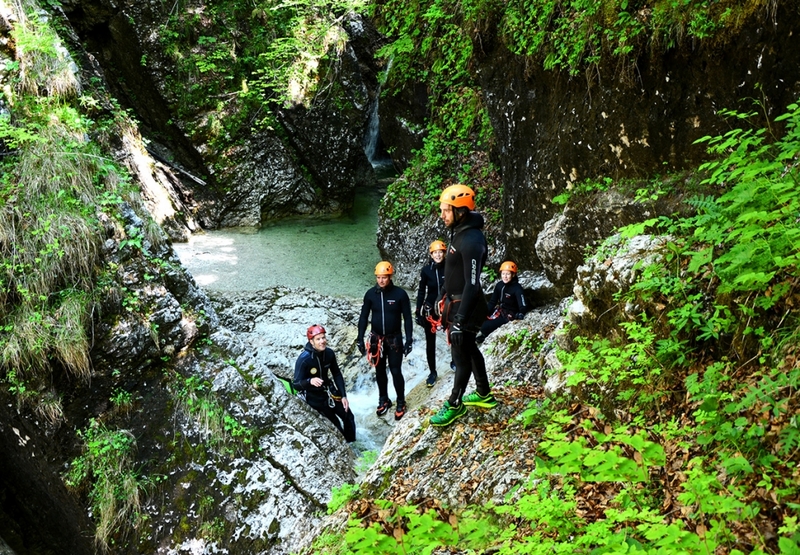 The Julian Alps and beautiful town of Bovec with all surrounding valleys is one of the most fascinating canyoning playgrounds in Europe. 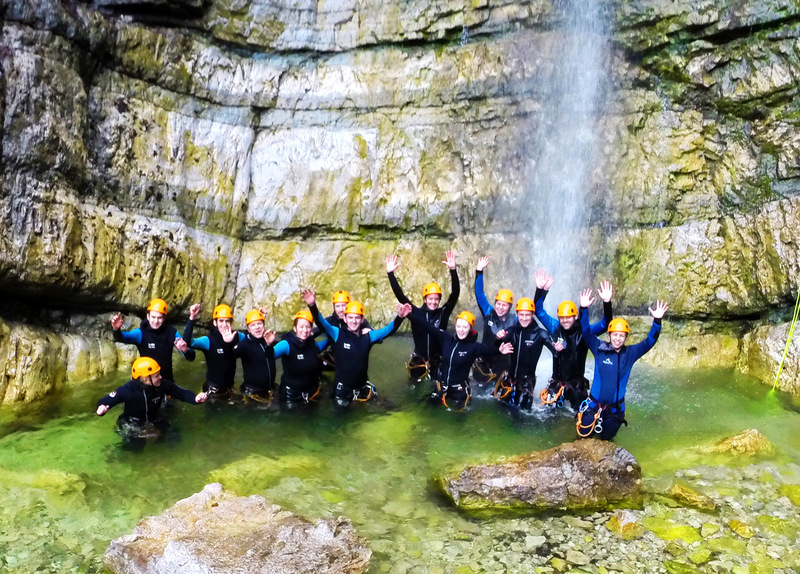 Canyoning Summer Camp is specifically designed for canyoning beginners and canyoners with middle skill. It provides all the fun of canyoning and traditional camp experience like field trips, water activities, swimming, evening brunch and lectures by the fire. We let you discover more of the great outdoors in the company of exceptional leaders and new friends. Canyoning Summer Camp combines all canyoning activities and other outdoor activities such as river walking-swimming, gorge snorkeling and white water rafting on famous Soca river. Our summer camp experience is not only a summer experience – it is a life experience with a value and it has a resonance that extends far beyond the boundaries of a single summer. 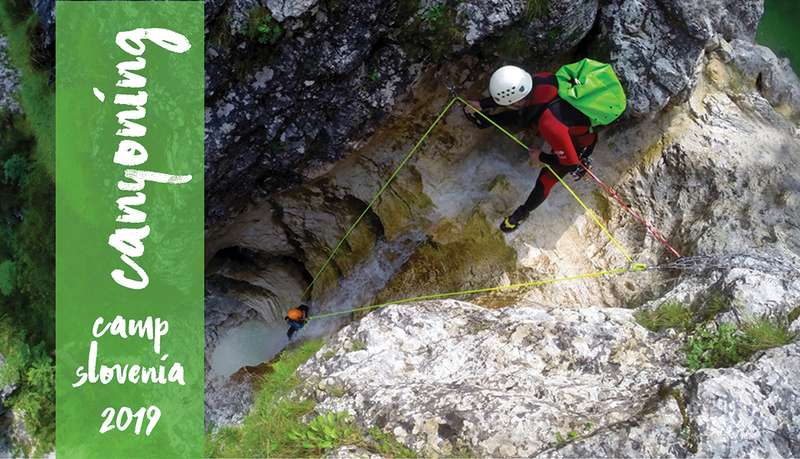 We invite you to sign up for The Canyoning Summer Camp today and enjoy the wonders Slovenian nature has to offer. Date: August 28th – September 1st, 2019. Location: Bovec, Julian Alps, Slovenia. 4 days of Canyoning – 4 best canyons around. 1 day River walking and Swimming in Učja canyon or Soca Gorge Snorkeling. Great staff and happy people. 5 x breakfast & BBQ dinner. Because, it’s the one of the best summer experiences in a beautiful green nature of Slovenian alps. Because, you will join the most experienced canyoning guides and friendly people. It’s life experience!